As a storyteller Matthew Kaplowitz has a knack for spotting stories as they unfold, and letting them run; and as a film maker he brings those stories and the people living them to the fore. And while his films may look different on the surface, the three that I’ve seen by New York-based director Matthew are about emotional journeys through worlds based on physicality. 1. Your award-winning short En Pointe, about body diversity in dancing, is a really beautiful film. How did you find David Baxter? Did you know him already? He speaks so movingly about how he feels and people’s expectations of him. I had never met David before we made that film. I entered the Fusion Five Day Documentary challenge, which is a competition where filmmakers (teams or solo like myself) have 120 hours to make a 4-7 minute documentary short about a random topic that they provide once the challenge starts. I entered, and the topic I received was “You’re never going to believe this but…” and it had to be a biography or a movie about music. I brainstormed but was coming up empty, but then my girlfriend knew a friend who had a friend, and that was David Baxter. I lucked out with how generous he was with his time and story, and much like Girl Fight: A Muay Thai Story, I had one idea and then the movie developed into its own thing, which is usually for the best. We were down to the wire, but he was incredibly helpful and went above and beyond to help me out without even asking anything in return so I remain extremely grateful for that. He made things super easy from start to finish! And I should add thanks to David being so amazing on camera, the short won “Best biography” and “People’s Choice Award” in the competition. David has done some speaking about this before, like when he was part of a panel at New York Comic Con discussing body positivity. He is very eloquent and motivating, and I was very happy to tell his story and hopefully affect some others out there who have struggled with the concepts discussed in the short. 2. I’d never watched any fight before seeing your full length documentary Girl Fight: A Muay Thai Story, about Prairie Rugilo’s female-only fight school in New Jersey, but it had me gripped. Especially as because it’s a documentary not fiction it doesn’t follow a typical story arc, so there are more surprises. What has the reaction been from people who know the world of MMA and also from people who don’t? The reaction has been very positive so far. I have heard good things from people in the fight world, and maybe more from those outside of it, which is a big surprise. My original intent of the film was to make it for non-fight fans because the message at the core of the movie is universal. That meant keeping the in-ring action concise and impactful, so both types of viewers could appreciate it. The fighting aspects of it are really just the physical manifestation of the emotional states shown during the film, since as they say, fighting is 90% mental and 10% physical. I know there are a lot of people, women in particular, who have zero interest in kickboxing. However, everyone can understand a story about fighting for what you want and dealing with setbacks. So it’s been very nice to hear from viewers who never watched a fight in their entire lifetime who loved the movie. It was a lot of fun at film festivals, where I would see elderly women watch the film and cringe at the fights early in the movie, but after the first big emotional shift 30 minutes in, they became so invested that by the end, they were throwing fists during the last fight sequence. 3. How did you decide whose story to tell within the Girl Fight school? I loved DeAna, she was so open and a real natural on camera, and I loved her story. Were there other women there you could have followed or did you know immediately she would be one? It was one part timing, and one part happenstance. When I first started shooting, Prairie had her championship fight set so that was a definite thing we had to be there for. For DeAna and Hazelle, it worked out that they were also having their first fights around the same time. After that, we really just went with the flow since things began to take shape. Other women from the gym had bouts in between the filming but by then, things had become more focused and these other fights didn’t help tell the story that developed over time. 4. I liked how the story about Jersey Shore, where the Girl Fight school is based, recovering from the hurricane was intertwined. Was that part of why you wanted to make the film? It was not something that was part of my original outline, but it was one of those epiphanies that happened while filming. Prairie lives in Seaside Heights, and this was not long after Hurricane Sandy damaged so much of the East Coast. It made sense to tie them together, to mirror Prairie and the other fighters’ struggles with their environment around them. The Jersey Shore is really another character in the film, and goes through just as much good and bad as the fighters dealt with. It showed things from a different point of view and a broader scale, and allowed the women in this film to use this as a way to reflect on that perspective and reinforce what is going on in their own lives. 5. Was it daunting as a film maker deciding to go for it and make a full length film? And was it a stop/start process or were you able to work straight through once you got started? Daunting is an understatement. Dozens of hours of footage, hard drive problems, computer failures, all sorts of other craziness that made my blood pressure explode. It’s a real exercise in commitment and not giving up in the face of all of these obstacles (sounds familiar?). Filming took around 18 months, so it was stop and go in that regard. I was editing in between all of the shoot dates, but once I had everything filmed, it became my obsession until it was completed. 6. Girl Fight is about female MMA fighters, En Pointe about a tall, stocky male ballet dancer. What is it that attracts you to stories about people stepping outside those fixed gender roles? I never really thought of it is an attraction before, it’s just something I have enjoyed doing. I like taking expectations and smashing them to the point where you completely forget your preconceived notions by the time you finish watching my work. In your review of Girl Fight: A Muay Thai Story you noted how refreshing it was to see a movie with no men in it. There’s a few men in there, but 98% of the film is all about these women, and you also mentioned how there is no argument for or against the idea of women fighting. The reason for that was because I don’t feel the need to spend time arguing with a viewer. I would rather get them to the heart of the story instead of trying to force them to see things my way for something they may already have a bias on. I can say that the majority of viewers who walk in like that will have changed their mind by the credits. I had plenty of viewers of all genders who watched it and didn’t like the idea of women competing in a ring or cage. 90 minutes later they saw this was a very relatable story and the fact that they were females was an afterthought. They got into the story and treated the characters as a parallel into their own lives and took something personal out of it. I know a lot of viewers would not want to see a movie about women who fight in a ring, but they can totally understand what it’s like dealing with getting ready for something big and having setbacks along the way. Many viewers could care less about a 6’3″ 280 lb. 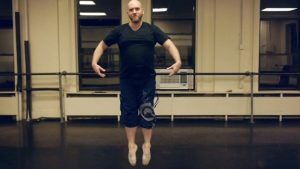 male ballet dancer, but they know how it feels when they look in the mirror and don’t like what stares back at them, or get a comment from a co-worker or family member about their weight that they thought was funny but you feel insulted by it. The only way we can empathize with another human is to relate to them and understand their struggle on a universal level. This is how I normalize these elements that many people may not want to be a part of or understand. Honestly, I can’t say I totally understand my subjects when I first started filming them either. It’s a process in life and if we take the time to do it, we learn things. That’s how these films all started with one idea, and ended with something totally different and real. I could go on and on about this because it’s something I like doing with my work, but I dislike expectations and stereotypes. No one fits a mold perfectly, and if we take a moment to understand why something you may find unimportant is very important to someone else and discover they have a reason to feel the way they do, then we are on the right track. 7. One thing I wonder about a lot of film directors is how much they have unconsciously seen their own story or journey in someone else’s life but made a film about the other person (if that makes sense). Do you ever make a film then look back and think “actually that was much more about me than them”? Girl Fight: A Muay Thai Story was definitely a lot of that. I had no idea things would turn out the way they did for the ladies during filming, and at the time it was a story that I wanted to tell to completion for my own sake. I don’t think I can tell a story where it doesn’t become close to my heart in some way or another. A lot of us are like that, where we are going through some stuff but the only way we get real perspective is seeing it happen from another point of view. It’s a moment of clarity because you are the observer instead of it happening to you, and that is what allows you to have your own epiphany. 8. As a film maker how useful are film festivals to get your work out there? Film festivals are an expensive necessity to getting your work out there, but I don’t think it’s the final word. The first film fest Girl Fight: A Muay Thai Story was in, it was up against documentaries that had serious six or seven figure budgets, and then you have mine that probably cost as much as their snack budget (yes, not even lunch or dinner!). I love getting selected and being able to add laurels to my poster, but the documentary market is so saturated that it doesn’t mean what it used to. Girl Fight: A Muay Thai Story made it into 10 festivals, but I entered close to 50. En Pointe was in three festivals as part of being in the Fusion Five Day Doc competition. It’s an expensive game, and that’s the key. Once you get your movie done, you should be prepared to spend close to the same amount on your post-production, as well as social outreach and audience engagement. I don’t have an agent right now or a rep, but I suspect having a budget to afford one will get your movie a lot further than entering film festivals. I plan on fixing that for the next one. 9. People seem to open up to you. Is that because you have a talent in you for finding eloquent people with a story to tell or a talent for relaxing people enough in front of the camera so they say what they really feel? I wouldn’t know, I’m too busy trying not to be awkward while I shove a camera lens into someones face while asking them deeply intimate questions about themselves. It would be tough for me to answer that since I don’t know how the people I filmed really felt, but I do my best to make the people I interview feel comfortable, safe and never judged, and I am glad it translates in my work. In my ideal world, we start actually having a conversation and they forget their is a camera in the room. Those are the best moments. I also inform them early on that I have the magical power of editing at my disposal. That means they can stutter and stammer or have brain farts and no one will ever know. I think it tends to help relax everyone I talk to once they hear that. 10. If you could wave a magic wand and everyone in Hollywood would say yes to you (including your budget! ), what kind of film would you like to make? And if it was a drama rather than a documentary who would star in it? Spoilers! I don’t make plans or think of things in that way. Do I have ideas? Tons of them. Am I working on some now? Yup, I’m even nearly done with one of those as we speak. There are plenty of others I want to do and those will take some work, narrative and documentary. I have too much to learn and discover still at this phase, so I don’t think about fantasy casting. However, I would like to work for people like Thelma Schoonmaker, the Coen brothers, David Gelb and plenty of others. This process is a lot of learning on the fly for me, so I would rather absorb from other people than absorb into myself. There are very few of us who will ever wield that kind of power in any given field, so I will just keep working and see what develops. 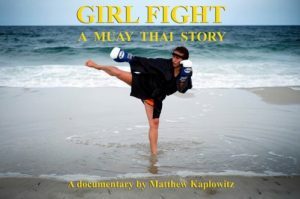 The full-length documentary Girl Fight: A Muay Thai Story follows Prairie Rugilo, MMA fighter and owner of the women-only Jersey Shore school Girl Fight and is currently available to view on Amazon Prime in the UK and on Amazon Prime in the US. You can also read my Girl Fight review here and see the Girl Fight trailer here. 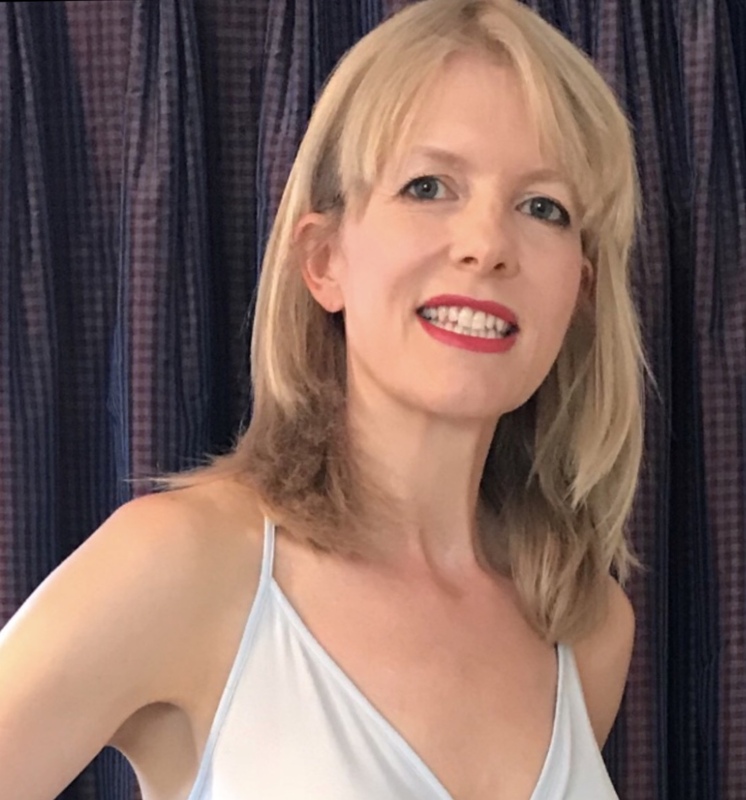 En Pointe is an award-winning six minute short about ballet dancer and burlesque performer David Baxter, upturning accepted ideas about dancers’ bodies. 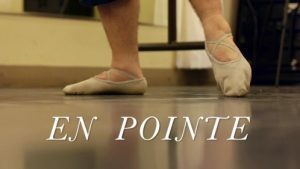 Read my En Pointe review and see the film here. Concrete And Crashpads: Stunts In New York is a half hour documentary about TV and film stuntmen and women, the “shadow warriors” who often provide the backbone of the action while staying in the background (co-directed with Steve Koepfer). Read my Concrete & Crashpads review here and check out the trailer here.